All In One Moving is founded on the principle that people need to feel they can fully trust their moving company. Established in 2005, our expert movers are committed to your satisfaction and move, understanding that each move is unique and demands a unique combination of services. As such, we work with you to ensure a stress-free moving process, giving you freedom to focus on your relocation rather than deal with the headaches that come with moving. 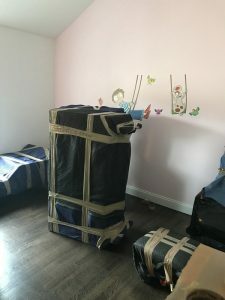 From the first box packed to the last one off the truck, our movers ensure you have a successful move.Relocating is a very stressful experience – from house hunting and all the endless expenses to packing, moving, and unpacking. 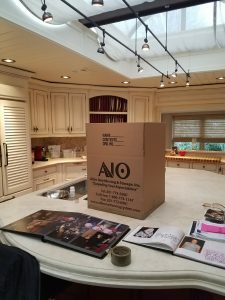 With so much to worry about, it’s good to know that we are available to alleviate some of the stress that comes with constant packing, labeling, transporting, and unpacking. Our wide range of moving services provides options to give you the control you want, allowing our professional movers to take care of the rest. Packing Materials With a huge inventory of boxes of different shapes and sizes, we have specialty packing materials for all your possessions. Loading and Unloading From disassembly and reassembly to residence protection pads and carpet covers, we alleviate any concerns regarding damage. Optional Services Unpacking, Debris Removal, Storage, Crating, and more! Say the word and we’ll take care of it. When you call us for moving services, we set you up with a personal relocation consultant to determine your specific needs and ensure stream-lined service throughout your move. Your personal relocation consultant offers options to you while remaining within your budget, alleviating any concerns about hidden prices or fees. Clear explanations of costs are provided before your move, and our PriceLock guarantee protects your estimated total from additional costs. In instances where your rate comes in under the initial estimate, we honor the lower price with our Guaranteed Rate Reduction Pricing. Speak with us about our customized pricing structure for a combination of guaranteed and separate service costs. 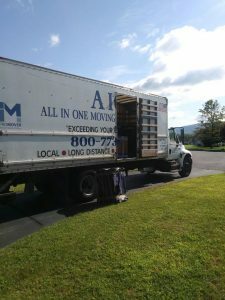 For more information about All In One Moving Company, call All In One Moving at (201) 773-6960.